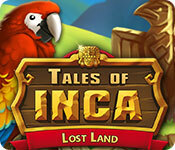 Tales of Inca: Lost Land is rated 1.9 out of 5 by 37. Rated 5 out of 5 by Gordonshamway23 from Awesome I bought the game and i like it so far. I was able to find the speed up button from beginning on, not like all the other reviewers here. The game pace is ok with higher tempo but in later levels you actually need it slower because of all the stuff going on. Higher level gets more and more difficult. People which played the demo only cant really jugde the game i think. I like the art style of the game. You should definitely give it a try. 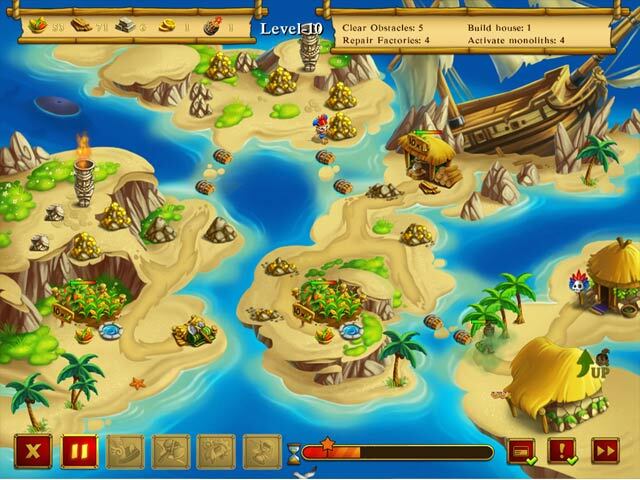 Rated 5 out of 5 by jewels6233 from Excellent I thought seeing it had a Strategy rating, it would be difficult. 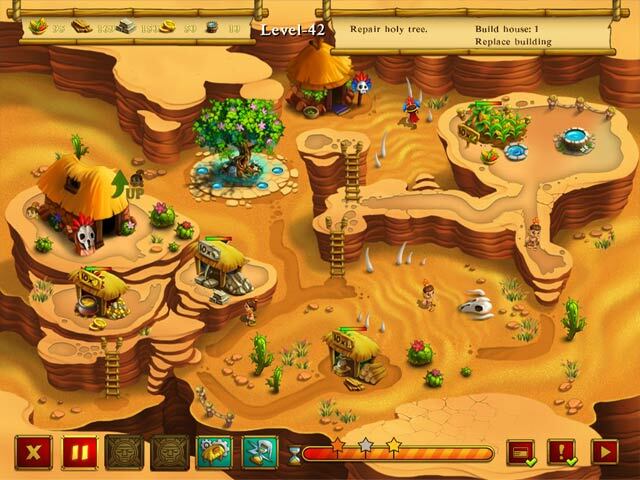 But it is very similar to Time Management Games with some added fun added. Really enjoyed the trial, looking forward to the full game. Rated 5 out of 5 by Kamali from I liked it enough to buy it The previous reviewer says this one is an old game, but I've never seen it before (and I have over 2000 games spanning many years from BFG). That said, it could be an old game and I just didn't notice it last time it was released. Anyway, as I didn't have it already, I decided to give it a try anyway, and although it plays a bit slower than most of this type of game (maybe that's why it might seem old) that gave me time to think and decide what the best thing to do next was. Maybe 'old-fashioned' would be a better description, but even then, it didn't stop me enjoying the game to the point that I was really disappointed when the time ran out, so I bought it immediately so that I could go on playing. The graphics are clear and not too cluttered, and I did have to restart one level when I dug up the wrong hole and left myself with not enough wood to dig up the right hole, so after that I made use of the pause at the beginning (see helpful hint at the end of this post) to plan my route. On the technical side, I had no problems with it - it downloaded quick, installed with no trouble, and played as soon as I clicked 'play'. Helpful hint: when you get into each level, the level starts in paused mode and you have to click the 'play' button to start playing. (It confused me at first, which is why I'm mentioning it). Rated 4 out of 5 by LanaPook from What's with all the bad reviews? Ok so it's slow but it does have 2 speeds. I bought it and played through the entire game. It could use some tuning up for sure but ….TM games are my favorites. I would rather play this TM than another dreary HOG any day. Try it before you abandon hope on this one. Rated 4 out of 5 by mkreynolds from This game has two speeds This is my first review I had to get on here and let everyone know that down in the lower right hand corner you will see a tiny square with a double right arrow. If you push that the game and the tiny people go in high gear. It's a much different game then. The instructions for this game could of been better. If they would of been the reviews would of been better. This is a great little game with a lot of strategy. I hope you can give it another look. Rated 4 out of 5 by jennkneefur123 from Totally Not Boring! For those reviewers that are saying this is a slow and boring game, it is not. There is a slow speed and a faster speed to get your workers going. The slow speed is for you to use to figure out your moves. There is a fast forward button in the bottom right of the screen that will accelerate your workers, but be careful, it accelerates your time too. 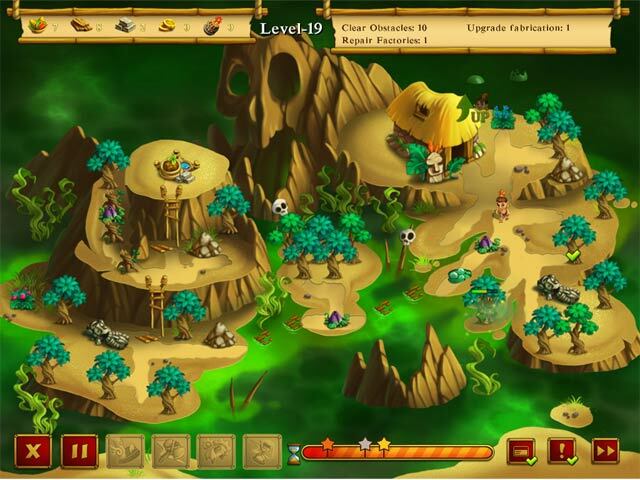 There is a good amount of challenge in this game as you get further in the levels. Some I've not gotten three stars on. As there are not many TM games available, I bought this one and I'm still enjoying the game. You just have to use strategy to play...hence why this is tagged a strategy game. There is not much info out on the web for tips and tricks on this game. I've yet to figure out what the dynamite is used for and how to get my boosters. I'm almost to level 30 and have not gotten a single one. Perhaps I missed something in the earlier levels which I will figure out when I replay. I'm still having fun and I'm a TM gamer way back to the Diner Dash games. Rated 3 out of 5 by read5050 from Perfect for young children This game is great to teach young children how to play this type of game. Rated 3 out of 5 by 0Jade from Too Slow It might have been a good game, but the workers walk so slowly, that you can barely do anything before the demo is over. My suggestion, once you can upgrade and get more workers, just collect food to max out your work force so that the game moves along faster before you try to tackle it. Not sure if this game is worth the hour of your life you're going to lose just testing the demo - sorry. Rated 2 out of 5 by wxman77477 from Tedious Exceedingly slow and repetitive. A few levels cannot be won with 3 stars. Played it all the way through, but so boring.